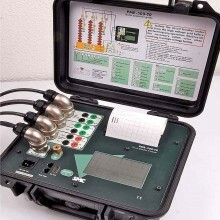 The T&R 50A-3PH is a three phase injection system providing commissioning and maintenance engineers with a flexible system for testing protective systems. 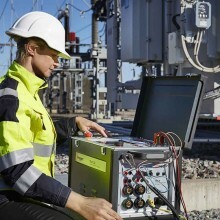 The T&R 50A-3PH mk2 is a flexible 3 phase current injection system capable of supplying currents of up to 50A ac per phase into a variety of loads. 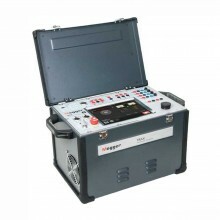 The unit is designed for testing devices used for power system protection, but can be used wherever a 3 phase high current AC source is required. 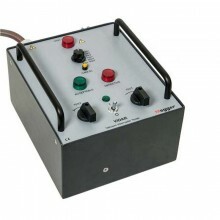 The outputs may also be used in voltage mode to supply voltages of up to 18Vac. 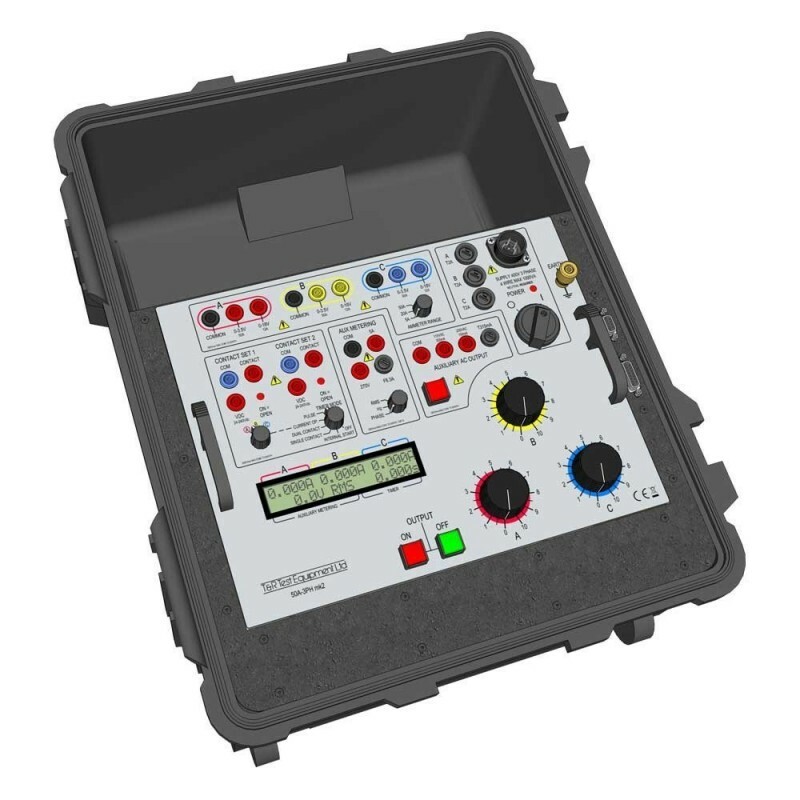 The T & R 50A-3PH mk2 requires a 3 phase 4 wire 400V supply (400V version) or a 3 phase 3 wire 220V supply (220V version), but an optional delta-star converter is available, allowing the 400V 50A-3PH mk2 to be operated from 115V, 230V, 400V or 440V three wire supplies. 0 - 50A three phase output. 0 - 50A per phase output current. Large back-lit liquid crystal display. 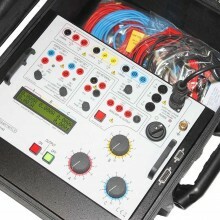 220V or 400V 3 phase mains supply options. 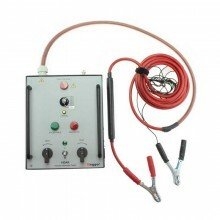 115V - 440V 3 wire supply with optional supply transformer. 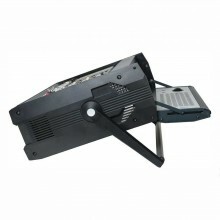 Main Output Range: 3.5V (16A continuous, 32A - 5 mins, 50A - 1 min). 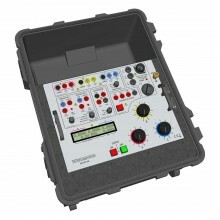 Range: 18V (4A continuous, 8A - 5 mins, 12A - 1 min). 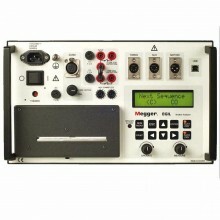 Metering Range: 5.000A, 20.00A, 50.00A. 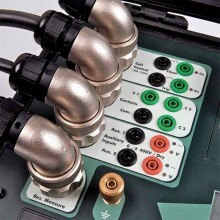 Auxiliary Metering Inputs: Voltage (AC) - 270V, Amps (AC) - 5.000A, Phase - ±180°, Frequency - 20 to 1000Hz. Timing System Range: 0-999.999s, Resolution 1ms. 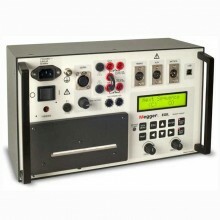 Temperature Range (Storage): -20°C to 60°C, Operating - 0°C to 45°C. 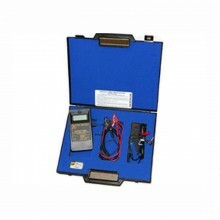 Dimensions: 560mm x 456mm x 265mm. 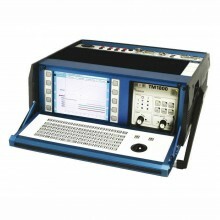 T&R 50A-3PH warranty: 1 year. 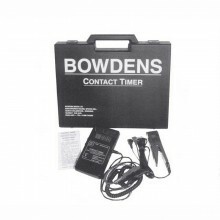 Includes: T&R 50A-3PH mk2 Operating manual, output lead set, mains lead, spare fuse set.